The skin under our eyes in January is not a happy place. Thanks to a combination of the excesses of the festive season, drying central heating, and redness-inducing wind that just whips moisture off the skin whenever we venture outside, you wouldn’t be alone if you’ve noticed a flurry of fresh fine lines emerging of late. This is unsurprising – with fewer sebaceous glands and far thinner skin than on the rest of the face, the area around eyes is prone to damage and is one of the first places to suffer when stressed (check), overtired (check) and dehydrated (yep, check again). All is not, however, lost. A wealth of clever patch masks designed to target the under-eye area are on the market promising to combat everything from wrinkles to dry patches and puffiness. We’ve set about testing them to find the very best. SKII Signs Eye Mask (£60 for 14), Harrods. Containing a blend of pitera (a key ingredient in SKII skincare that supports the skin and replenishes lost moisture), vitamins and peptides, these make skin appear smoother and lines reduced after just one use. 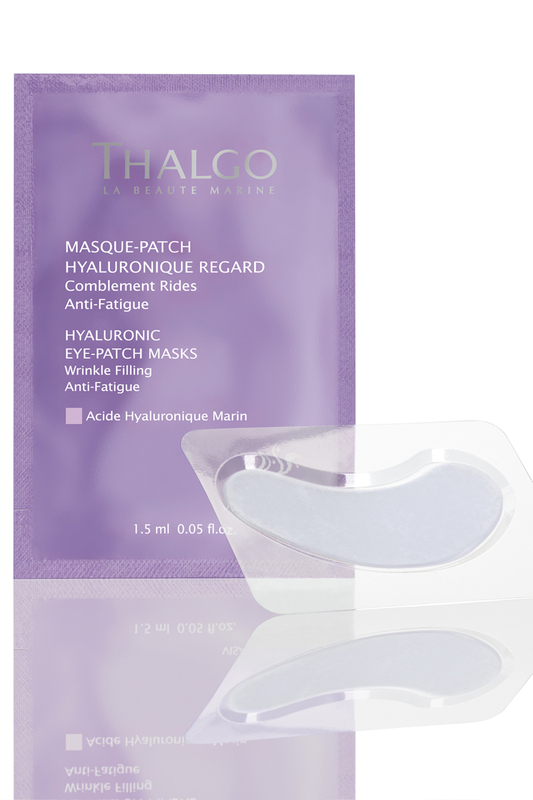 Thalgo Hyaluronic Eye-Patch Masks (£36 for 8), thalgo.co.uk. These patches are soaked in hyaluronic acid, which is essential to skin hydration. We pop ours in the fridge prior to using for a cooling kick while they work their magic. Institut Esthederm Eye Contour Lift Patches (£53 for 10), fabled.com. We’ve lost count of the number of times we’ve bought these – they’re a staple for mornings after big nights before on account of their rehydrating and depuffing brilliance. DHC Revitalising Moisture Strips: Eyes (£7.95 for 6), dhcuk.co.uk. Not quite as moisturising as the others, these polymer gel strips work a treat if eyes need tightening and brightening. We apply a tiny bit of eye gel underneath when we need both moisture and a lift. 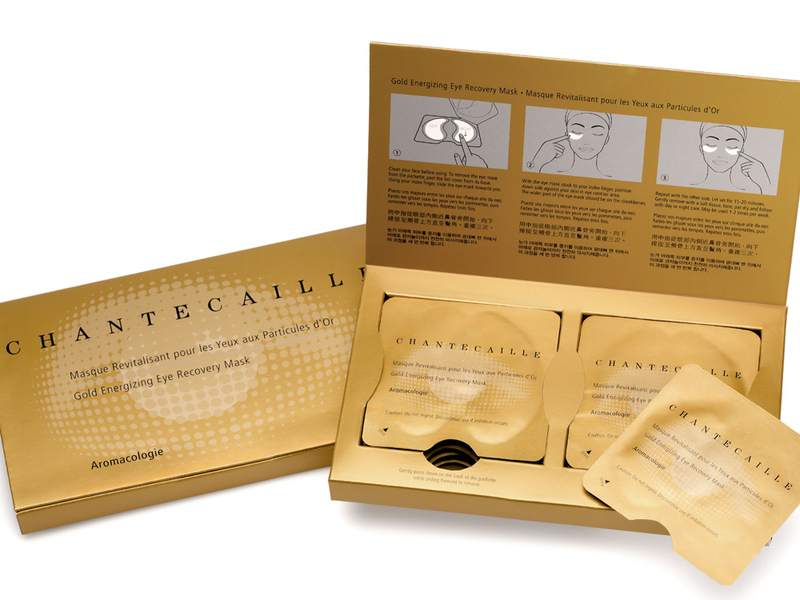 Chantecaille Gold Energizing Eye Recovery Mask (£185 for 8), spacenk.com. Eye-wateringly expensive, but if you have a big event you’d like to go all out for, we’d really recommend these – this seaweed-based mask is extremely soothing. Try to justify the cost by seeing these as a yearly investment to reduce damage wrought during colder months. Elemis Pro-Collagen Hydra-Gel Eye Masks (£47.50 for 6 pairs), fabled.com. Tightening and hydrating, these patches energise tired eyes in double time. Another pair that when chilled in the fridge are extremely refreshing. Do you eyes need even more love? These are the 21 best eye creams as tried and tested by the Marie Claire team.